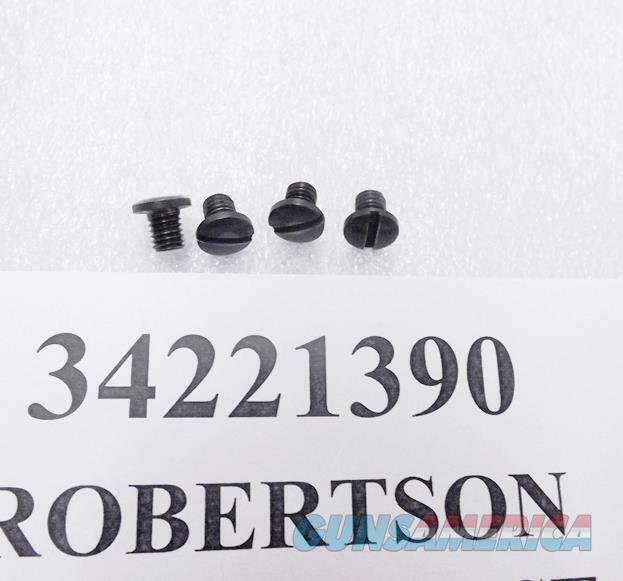 Sig P6 P220 P225 P230 P245 BDA Slotted Set of 4 Factory Grip Screws 4x$4.75 34221390 P6PT 3 Parts Ship Free! Description: This listing is for FOUR Sig Sauer German Factory Slotted Grip Screws Only, NO Washers. Buy any 3 non gun non ammo lots and shipping on the entire order is free! Photos are representative, but buyer will receive a virtually identical set of 4 screws to the photo specimens. From its career on a training pistol with the Federal West German Police come these slotted grip screws to fit the P6 German Pistols. Manufacturer was Sig Sauer gmbh of Eckenforde, Germany. Production dates were late 1970s to early 1980s. The training pistols were the final pieces of the forty some odd thousand Federal West German Police issue P6 pistols that we and our colleagues have highly enjoyed selling for the past decade. Construction is threaded machined steel with single slot access. View number is #50 on the Numrich Schematic. These are correct for Sig Sauer models P6, P220, P230, and P225 pistols. They will also fit the Browning BDA Pistols made by Sig. This piece and its mates were taken off pistols whose slides, barrels, and frames were all demilled, so it was never actually fired very much, just used for training. Replacement pricing often runs $10 apiece or more on these. We’re offering the set of 4 grip screws in the photos, however, at only $2.25 each, not sold separately. Own a complete set	for only	$ 9.00. Search term P6PT will bring up all our Sig parts on this venue.